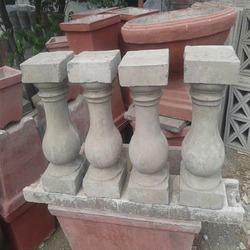 Being a reliable firm, we offer RCC Baluster to our clients. Simple to install and low in maintenance, this product has gained much appreciation from our clients for its performance. Our supervisors process quality check on various parameters to check the quality standards of the machine so as to provide the best quality of the product to our clients. Offered price range is reasonable and cost-effective. Looking for RCC Baluster ?